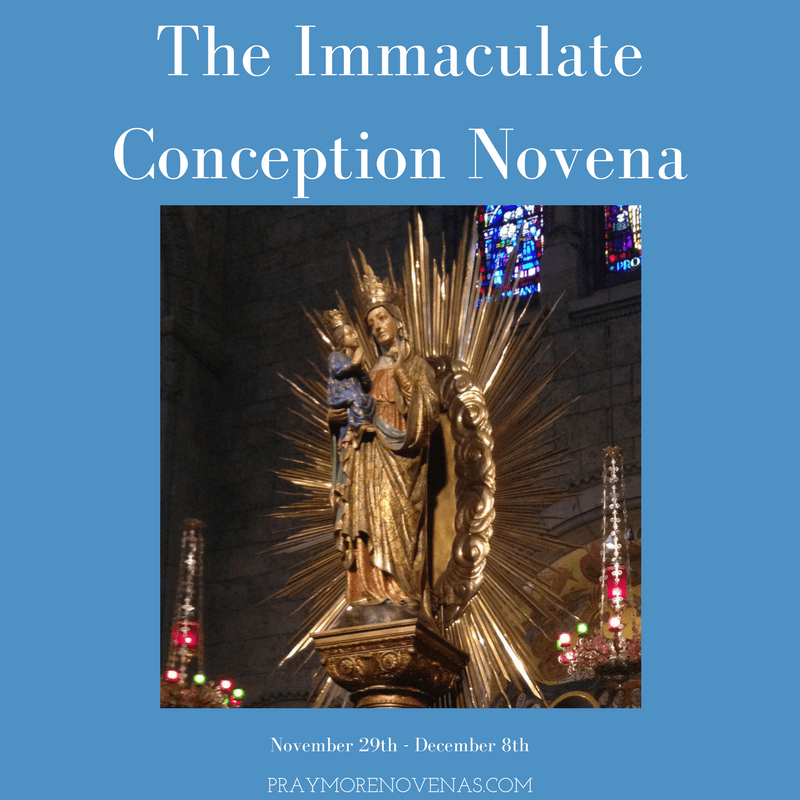 Here’s Day 8 of The Immaculate Conception Novena! Holy Mary, I pray for my son, that all his studies gets eased up and less stressful and that he understands all the study material and is able to complete the assignments on time. To be able to commute and complete the program successfully and get into medical school. To be blessed with good health, sound mind, good rest and sleep, healing of scalp. To be able to celebrate the success and admission into med school this year during Christmas! Holy Mary accept my prayers and fulfil this miracle for my son this year, Amen. DEAR BLESSED MOTHER IN JESUS NAME PLEASE HELP US GET THE REMAINING FUNDS OF $1,650 TO PAYOFF THE WORK AND CLOSE IT OFF FOREVER AND PLEASE HELP US ALL (ANGIE, CHRISTOPHER, JONATHAN H AND RIMPY) REUNITE PHYSICALLY SO WE REMEMBER ONE ANOTHER AND NEVER SUFFER FROM ANY MEMORY LOSS OR HEALTH ISSUES RATHER AS WE MEET AGAIN AND FOR THE FIRST TIME LET THERE BE A VERY BLESSED AND POWERFUL BOND AND CONNECTION FILLED WITH LOVE, JOY, PEACE AND APPRECIATION THROUGH LORD JESUS CHRISTS BLOOD WHICH WILL UNITE US MIRACULOUSLY FOR LIFE. WE LOVE AND TRUST YOU. THANK YOU. AMEN! their natural environment is breaking down. My heart is broken as for them as I watch them suffer. I know our Holy Father loves them as he created them. Please pray with me for our environment and our planet for peace. Blessed mother intercede for me to reopen my intended’s heart to restore our plans for marriage and loving future as family with my daughter. Soothe his sudden fears and remove the temptation to run to another whom he has known only weeks. Let us build on the beautiful foundation of our loving four years together and go forward with the relationship that so honors you through the love you gave us for each other. to see husband and other family members. Also prayers for children to go to a Catholic Church. Dear Mother Mary, Please hear and answer the intentions in my Heart. You know my needs and that of my family, especially for my brother who is affected with ALS. Thank you Dear Blessed Mother. Dear Blessed Mother, please intercede for my family and I to your Beloved Son, Jesus, to heal us from anxiety, depression, asthma, allergies, heart disease, fibromyalgia, diabetes, sciatica and TMJ. For my son Tony as he faces what’s in front of him with strength, accepting the help he needs to get his life back on track. May the charges he faces be eliminated in exchange for the effort he puts forth to make the necessary changes in his life. Give him the love he needs and the guidance he seeks. For Trich…May she find peace in her life, that the demons haunting her are sent away so she may be filled with the joy she deserves. For all suffering in silence, that they may find their voices and ears to hear. Holy Mary Mother pray for my nephew and his new wife to having a burning desire and will return our Catholic/Church/Faith. Blessed mother I place all my Trust and Hope in You and Your Son Jesus. Please pray for me to be delivered from all fears and anxieties. I pray that my blood works come back clean from any sickness or disease. Free from high cholesterol and high glucose levels. Deliver and heal me from the excessive sweating that happens to me always and everywhere. I need Your miracle. I need Your miracle and I receive Your miracle in Jesus’ precious Name. Thank you Blessed Mother and thank you Jesus.